Benjamin Button was literally born an old man. He lived a backwards life, for his body grew younger as the years passed him by. Come and listen to the original, unabridged story by F. Scott Fitzgerald which inspired the movie. I've never seen the movie but thought I would try the book. I found the concept of someone being born at the end of their life and then getting younger interested. Although not much happened throughout the story, it was still a pleasant read, hence the 4 star rating. 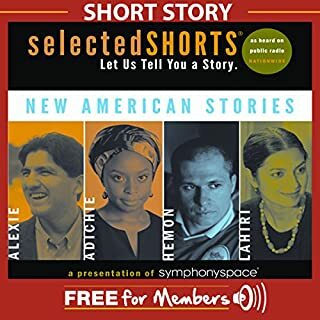 New American Stories presents diverse stories of contemporary American life and dreams lost and found, by four of the best young contemporary writers - Jhumpa Lahiri, Sherman Alexie, Chimamanda Ngozi Adichie, and Aleksandar Hemon - as performed by terrific stage and screen actors. All four writers have a unique perspective on the American experience, which is reflected in their work. This wasn't a terrible listen, but not that great either. This selected piece is about the experiences of Aleksander Hemon, told in his own words, when he had a job selling magazine subsciptions and the colorful people he met. What spoiled it for me was the use of the f-word a couple of times. 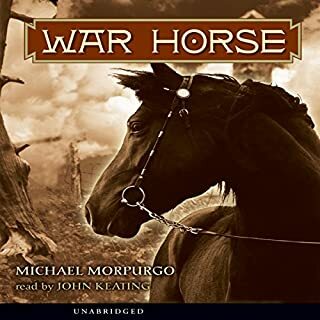 I think audiobooks should have ratings, like movies, so the listener can then choose if they want to hear such language. 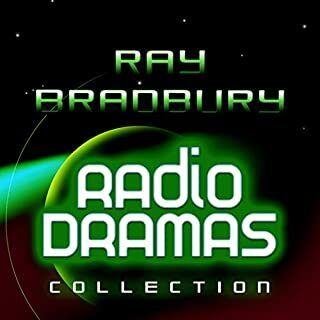 This collection features four classic, dramatized Ray Bradbury stories: "To the Future", "And the Moon Be Still as Bright", "Dwellers in Silence", and "Marionettes, Inc."
I purchased this because I enjoy listening to old radio dramas like the twilight zone. The quality and storyline of this collection is not as good as the twilight zone. I found the stories predictable and not very memorable. If your looking for something to pass the time or fill a gap, this is perfect. Otherwise, I would skip this one. 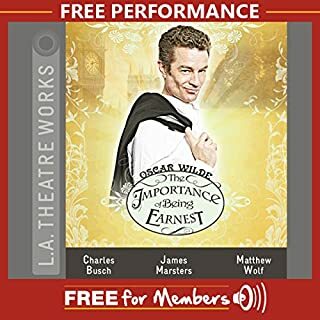 This final play from the pen of Oscar Wilde is a stylish send-up of Victorian courtship and manners, complete with assumed names, mistaken lovers, and a lost handbag. Jack and Algernon are best friends, both wooing ladies who think their names are Ernest, "that name which inspires absolute confidence." Wilde's effervescent wit, scathing social satire, and high farce make this one of the most cherished plays in the English language. Although I know who Oscar Wilde is, I had never actually read any of his works so this was the first. It was a free download and it was a very enjoyable listen. It is a theatre performance. Listening to this has made me want to listen to more of his work. Of especially naughty children, it is sometimes said: “They must have been raised by wolves.” The Incorrigible children actually were. 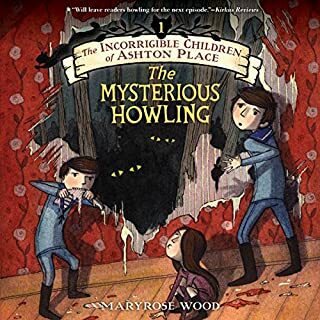 Discovered in the forests of Ashton Place, the Incorrigibles are no ordinary children: Alexander keeps his siblings in line with gentle nips; Cassiopeia has a bark that is (usually) worse than her bite; and Beowulf is alarmingly adept at chasing squirrels. As I am sure everyone realises, this story was written for children. However, I enjoyed listening even though I am an adult. Having said that, I really did not like the narrator. I don't know if she is really English (from England) but she narrated with an English accent and some of her pronunciations were way off. Also, she gave some of the characters really high pitched, annoying voices which drove me crazy to the point where I almost stopped listening. Also be warned that NONE of the questions raised in this story are every answered so you will need to purchase book 2 and 3 to get closure. I find this to be very annoying as usually, even with books written as part of a series, each book has some sort of resolution. This does not. It is 1956. Three years ago, Leo Demidov moved on from his career as a member of the state security force. As an MGB officer, Leo had been responsible for untold numbers of arrests and interrogations. But as a reward for his heroic service in stopping a killer who had terrorized citizens throughout the country, Leo was granted the authority to establish and run a homicide department in Moscow. Now, he strives to see justice done on behalf of murder victims in the Soviet capital. Dennis B is one of the best narrators I have ever listened to. Whenever I listen to one of his narrations I feel like I am listening to an old friend. Having said that the book was also excellent. While not as good as the first in the series (child 44), it is pretty close! Once again, we follow Leo as he solves a new mystery. I have already listened to the last book in this series and am so sorry it has come to an end. I hope the author decides to write more one day. In 1914, a beautiful foal with a distinctive cross on his nose is sold to the Army and thrust into the midst of the war on the Western front. But his heart aches for Albert, the farmer's son he left behind. Will he ever see his true master again? Great idea for reluctant readers! I enjoyed this story alot. 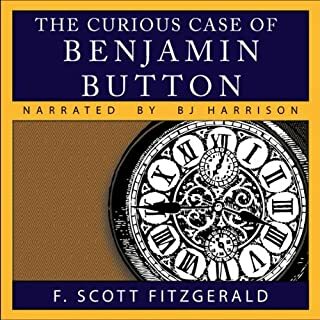 Although I usually listen to much longer books, this was a pleasant change as I was able to finish it and get a resolution to the story in just two sittings. I was also very pleased with the ending. 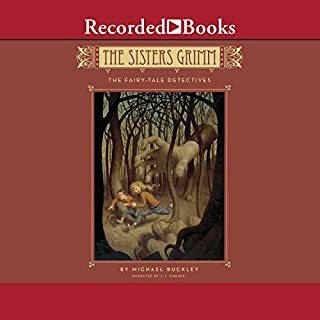 The recently orphaned Sisters Grimm find out from their Granny, who they thought was dead, that they're descendents of the legendary Brothers Grimm. Now they must take over the family responsibility of being fairy tale detectives in a town where fairy tales are real. Their first case: a giant is destroying the town and it may have something to do with a boy named Jack and a certain famous beanstalk. I am an adult but bought this book because it looked interesting. It is set in our present day and follows two sisters who are the decendants of the Brothers Grimm. They are thrown in the middle of a mystery involving fairy tale characters. It was an easy listen and helped pass the time while I did my cleaning. Although this is really for kids, it can be enjoyed by adults too. There are some unresolved questions at the end of the story so I am thinking that this book may have a sequel. Leo Demidov is no longer a member of Moscow's secret police. But when his wife, Raisa, and daughters Zoya and Elena are invited on a "Peace Tour" to New York City, he is immediately suspicious. 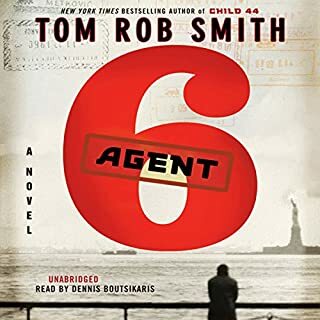 Forbidden to travel with his family and trapped on the other side of the world, Leo watches helplessly as events in New York unfold and those closest to his heart are pulled into a web of political conspiracy and betrayal-one that will end in tragedy. This is the last book in the series about Leo Dimidov and his adventures. The main story starts the 1960s and it spans over a period of 20 years (bringing us to the 80's). As far as story line, this book does not disappoint. Very interesting plot and it kept me wanting more. However, I was very disappointed with the ending. After following Leo throughout the story, waiting for him to solve the mystery, I feel like there really wasn't much of a mystery to solve at the end of it all. Also how the book ultimately ended somehow felt unfinished. 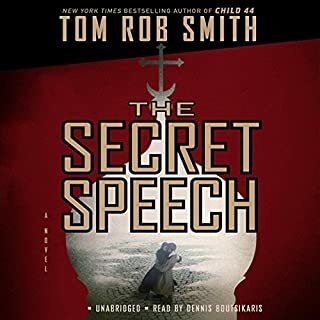 If you enjoyed Child 44 and The Secret Speech though, you will probably like this. As usual, the narrator was fantastic. 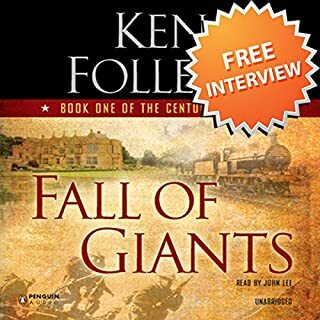 Ken Follett and John Lee, the author and narrator of Pillars of the Earth and World Without End, are back together again for Fall of Giants, the first in The Century Trilogy. They recently chatted with Audible editor Diana Dapito about the new epic book, and what it was like to write and record it. Nice prelude to the book. It also gives a good backdrop to how Ken started writing his cathedral books. I didn't find either Ken or John to be pompous in this interview, as some other reviewer have remarked.